Caught a sighting of the gorgeous model, Bhavna Sharma in an Anamika Khanna at the Chandon event. Not crazy over the flats but it works on her. Ms. Sharma looked great! 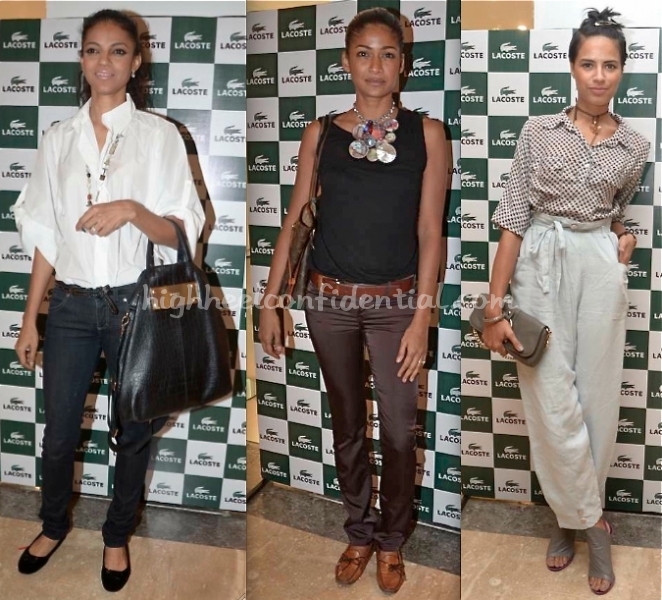 At a recent store launch, spotted models Noyonika, Carol and Bhavna. What do you think od their off-duty style? This gorgeous model isn’t afraid of changing it up. Love her appearance in the suit! 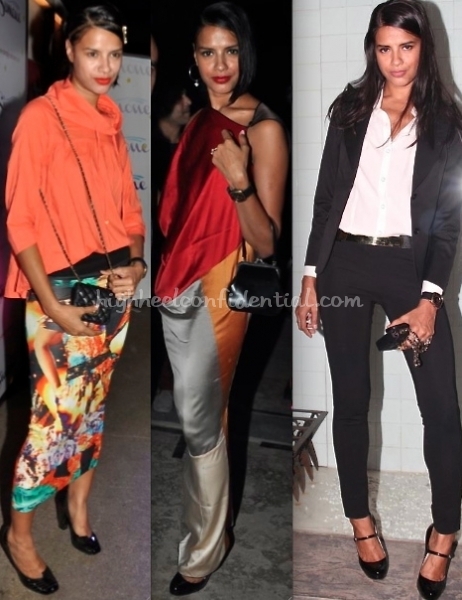 Two recent events saw Bhavna give us two very different looks. And, the model worked both of ’em. At the Colgate party, it was her glitter wedge boots and Lil Shilpa hair accessory that stood out. And at the soiree hosted by Bestseller India to launch their blog, bestsellerfashiondiaries, we loved her sequin vest. Of her two appearances, we did prefer the one from the blog launch just a wee bit more. You? At James Ferreira’s collection preview at Atosa, model Bhavna Sharma was spotted in a dress by the designer. The off-duty model worked her dress! We like.